We’d like to recommend a number of the Trans Allegheny Trails’ friends and neighbors – groups, organizations and communities that support what we are doing or have similar missions. Rails-to-Trails Conservancy is a partner and at least partially responsible for the existence of the Trans Allegheny Trails System! Their 2011 Greenway Sojourn utilized a number of our trails and was a catalyst that drew trail operators together. Here’s a video of that sojourn. 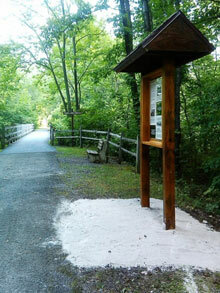 If you are interesting in reading more about that sojourn, you can do so at the Rails-to-Trails Conservancy website. 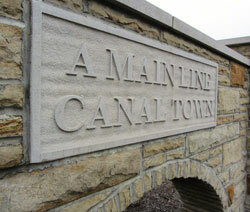 The Pittsburgh-To-Harrisburg Main Line Canal Greenway contains the Trans Allegheny Trails within its 320-mile corridor and is another valued partner as is the Cambria & Indiana Trail Council. The Allegheny Trail Alliance, which operates the Great Allegheny Passage, is an inspiration to us, is one of the nation’s finest rail-trails and runs just a bit south of the Trans Allegheny Trails. This website was funded through grants from Westmoreland County Tourism Grant Program, administered by the Laurel Highlands Visitors Bureau, the Indiana County Tourism Bureau, Indiana County Parks & Trails, and Explore Altoona along with the financial assistance of participating trail operators.